Senators advanced a bill March 22 intended to ensure radon levels are mitigated in new homes, schools, offices and other buildings. 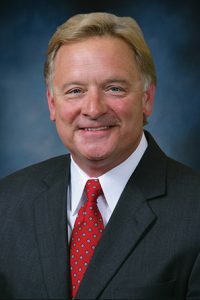 LB9, introduced by Sen. Bob Krist of Omaha, would create a task force that would develop minimum standards for radon-resistant new construction in Nebraska. The standards would be designed so that they could be enforced by a county, city or village as part of its local building code. Krist said radon — a colorless, tasteless, odorless radioactive gas caused by decaying uranium in soil — is the second largest cause of lung cancer in the country. The proposed task force would help ensure that radon mitigation techniques are incorporated in new construction in Nebraska, which has the nation’s third highest radon levels, he said. “LB9 is important because it is a public health bill that moves Nebraska forward to address the dangers and health risks associated with exposure to radon gas,” Krist said. The task force would provide its recommendations to the governor and the Legislature’s Health and Human Services and Urban Affairs committees by April 15, 2018. The task force would disband May 1, 2018. Lawmakers voted 37-0 to advance the bill to select file.